Thanks to a “scholarship,” ten lucky individuals attended the recent NGS 2016 Family History Conference in Ft. Lauderdale, FL. The Villages Genealogical Society had a drawing among its 1,500 members to award $400 to ten members so that the recipients could attend the 2016 NGS Conference. Congratulations to the winners: Irene Sherrill Harrison, Pat Adams, Donna Yambasky, Barbara A Bateman, Mary Frances Gerace, Betty MacDuff, Joanne Read, Ruth Bogert Wible, Donna Koeppel, and Pat Rand. 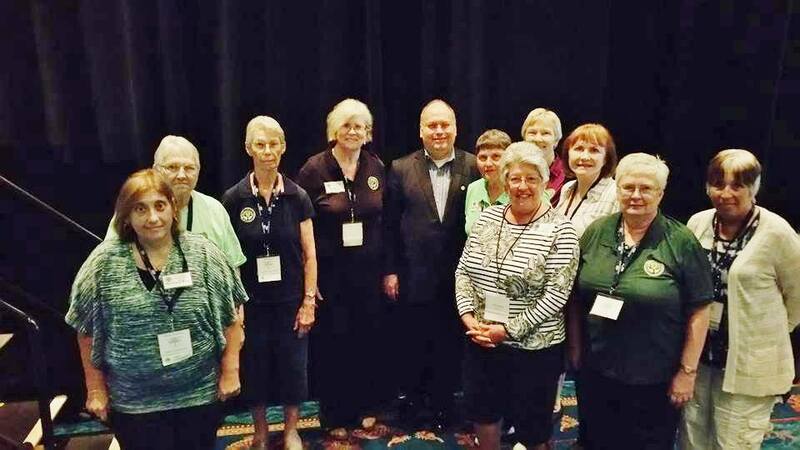 The Pinellas Genealogical Society, located in Pinellas County on Florida’s west coast, also encouraged its members to attend the NGS conference, since it was in Florida this year. Members interested in or already planning to attend the conference were able to purchase tickets for a drawing on 13 February 2016. (One ticket cost $1, 6 for $5, and 13 for $10. Members could purchase as many as they wished to increase their odds of winning.) The drawing was held at the Society’s annual seminar. Two tickets were randomly selected, and each winner was reimbursed the full-conference registration costs after they registered. The lucky winners were Debbie Schuler and Patricia Riggs, and both attended the conference. Has your society ever considered offering scholarships or other incentives so that members might better be able to attend a national genealogical conference? If so, we’d love to hear about it. Does your society have an Organizational Subscription to NGS? Did you know that if you do, three organization officers or directors can attend an NGS Family History Conference at the membership rate? Please make sure that you are taking advantage of this organizational member benefit. As we look towards the 2017 conference in Raleigh, NC, consider whether your organization/society might be able to provide an incentive to encourage interested individuals to attend. As The Villages Genealogical Society, your organization might provide a scholarship, or it could arrange a group bus to cut travel costs, find external sponsors to partially underwrite attendance, or whatever other incentive comes to mind and is practical. 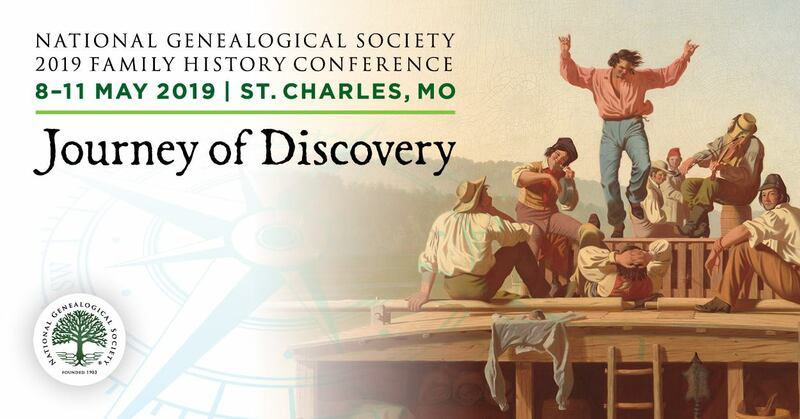 Attending a national conference is an unparalleled experience and your society’s creativity in supporting its members’ attendance just might make a difference to at least one genealogist who otherwise would not have attended. The Villages is the largest retirement community in the world, occupying approximately 40 square miles in parts of three counties. With the newest Village on the drawing board, the area is now about twice the size of the New York Borough of Manhattan. There are three town squares with nightly entertainment. Villagers get around their community on over 50,000 golf carts (many electric) on over 100 miles of golf cart paths. The Villages Metropolitan Statistical Area has been the fastest growing MSA in the country for three years in a row. The current population is estimated at 115,000. The Villages has by far the world’s largest golf facility, with 621 holes at buildout. The Villages Genealogical Society was founded in 1993. It began as a club of 15 members. It is now the largest genealogical society in Florida, and one of the largest local societies in the United States. The society currently operates 13 Special Interest Groups (SIGs) including Brick Wall Solutions SIG - Get help from others to solve your problem!, British Genealogy SIG - Join this roundtable discussion and solve your problem!, Eastern European SIG - Discuss problems & share your knowledge on Eastern European Ancestors., Family Tree Marker Users SIG - Ask questions about using this software, and more! The Pinellas Genealogy Society was founded by a small group of people whose interest in genealogy led them to establish The Florida Society for Genealogical Research, Inc. on May 27, 1972. On July 16, 1972, the first meeting of the Board of Directors was held in Pinellas Park. The name was changed to the Pinellas Genealogy Society, Inc. (PGS) in 1982. On January 17, 1991 Jay Dobkin, PGS member and Largo Library Special Collections Librarian, facilitated a contract between the Society and Largo Library. A mutual agreement was made that the Pinellas Genealogy Society would provide volunteers in the Special Collections/Genealogy Department and present educational classes and workshops in exchange for the library’s agreement to house the PGS genealogical collection. Thus began the Society’s amiable association with the Largo Library. Through the Pinellas Genealogy Society quarterly publication The Pinellas Genealogist, the society shares genealogical experiences, family histories, primary records such as death records, bible records, baptismal records, and birth records with members and Societies participating in a mutual quarterly exchange.